Raised in a family where different forms of music were being played, helped Bjan Jensen develop a level of affection towards this phenomenon at an early age. As time went by, he started to show a keen interest in Djing and was fascinated with how Dj’s would create, sample and mix tracks seamlessly one after the other. This lead Bjan-Jensen in commencing Djing lessons with JD Frank at the legendary Genetix shop at around 1999 where he would spend hours of practice at his friend’s house and later on at home. As the years went by, his ever growing vinyl collection and being given slots to play in parties around Malta worked hand in hand, and still does so today. 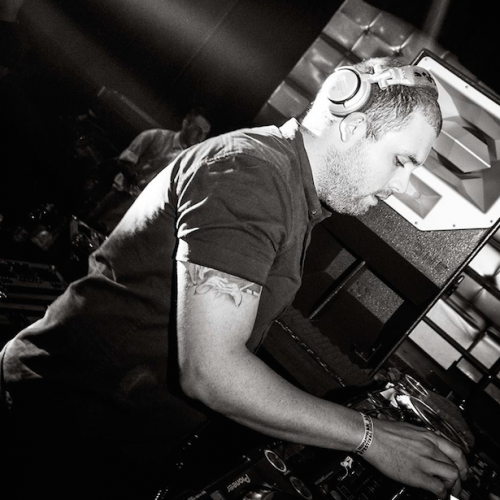 Being involved in the scene for more than a decade, Bjan-Jensen has seen himself on the same line up with both top local and foreign dj’s for countless of times. His style of play ranges from old school electro to retro italo-disco, tear-jerking Chicago house, acid house and techno to top it all off. He has performed in small-scale events that offer that unique feel and interaction with the crowd, as well as packed rooms in clubs and venues across the island. Bjan-Jensen’s influences range from a combination of 70s-80s disco, old-skool electro and Detroit techno and can be heard and felt during his sets, track after track.